We’re a virtual ‘boutique’ marketing communications specialist – totally focussed on supporting Marketers, Agencies and the wider Communication Industry to engage and connect more intelligently with the older, more mature consumer, typically either in retirement or just approaching retirement age. 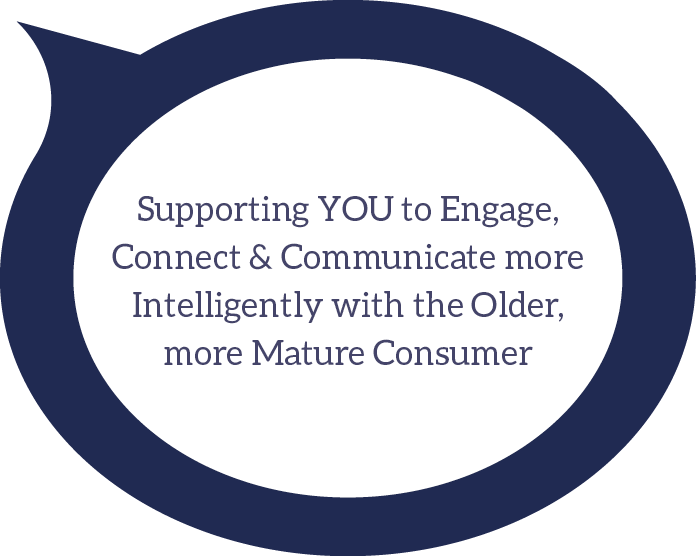 Offering YOU a range of highly flexible communication services, tailored to your specific communication needs – we’re all about delivering solutions aimed at the older, more mature consumer – across both the B2C and B2B channels. We are here to help you – to Enrich your Knowledge, Engage more effectively with your Audience and Enhance your Business Performance.